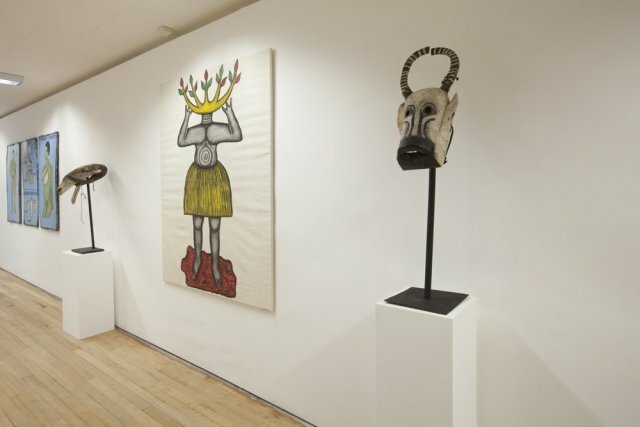 Jack Bell Gallery is pleased to announce a group exhibition of contemporary painting and sculpture from West Africa. 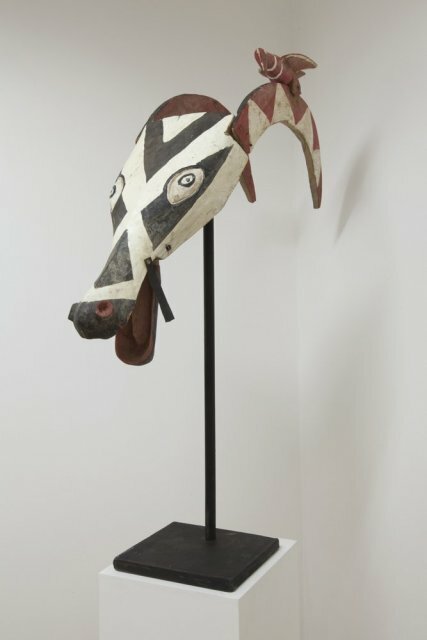 Cyprien Tokoudagba was born in 1939 in Abomey, Benin. 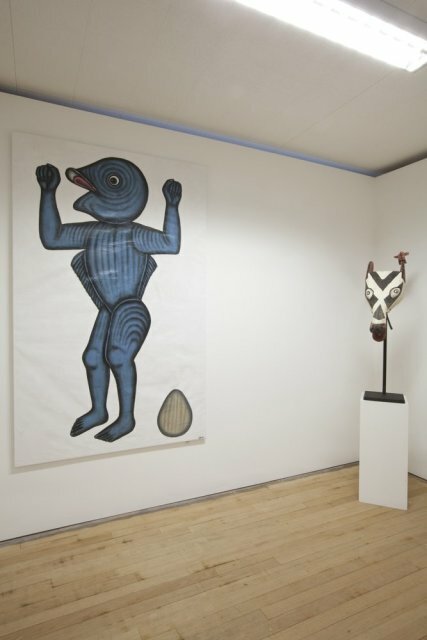 His practice is made up of several activities: wall painting and painting on canvas, frescoes and sculpture. As a restorer at the Glele Royal Palace and National Museum of Abomey, he is in contact with the incredibly rich artistic traditions of Benin. 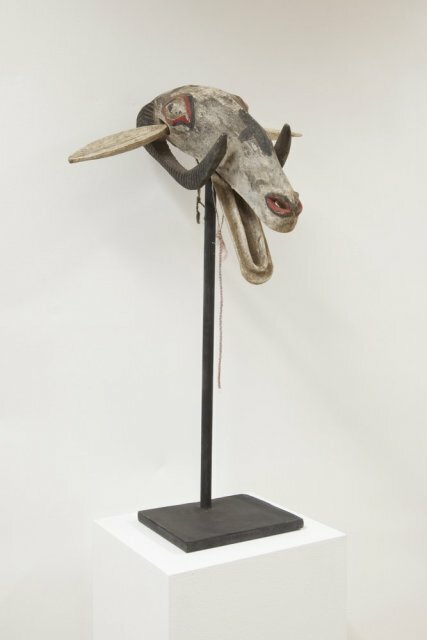 He also continues to work on the decoration of numerous Vodou temples both private and public. 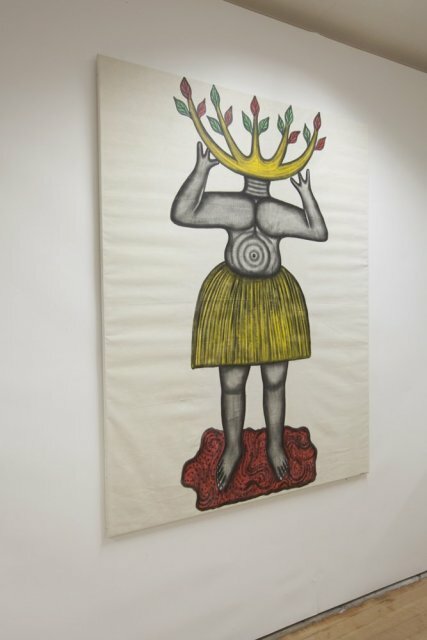 Often anthropomorphic and monumental, Tokoudagba's mural painting and sculpture represent symbolic effigies of political power and pay homage to female gods. 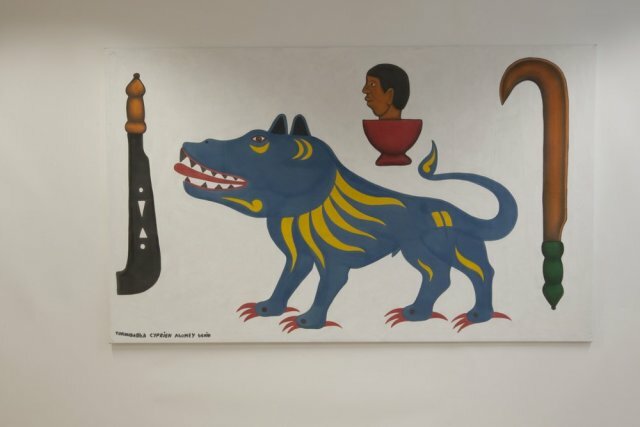 Since 1989 he's created large paintings on canvas that combine with great freedom, emblems of the kings of Abomey, symbols of deities (Earth, Fire, Water, Air) and objects bound to his culture. 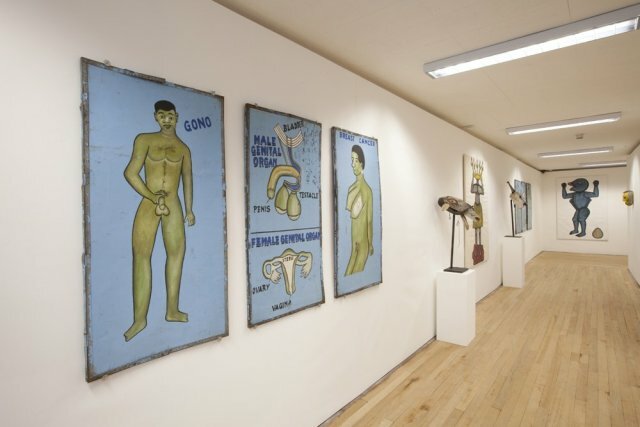 His painting has achieved international recognition and been exhibited at National Museum of African Art, Washington DC, Smithsonian Institution, Washington DC, Museum of Fine Arts Houston, Museum Kunst Palast, Dusseldorf, Hayward Gallery, London, Centre Georges Pompidou, Paris, Mori Art Museum, Tokyo and Serpentine Gallery, London among others. 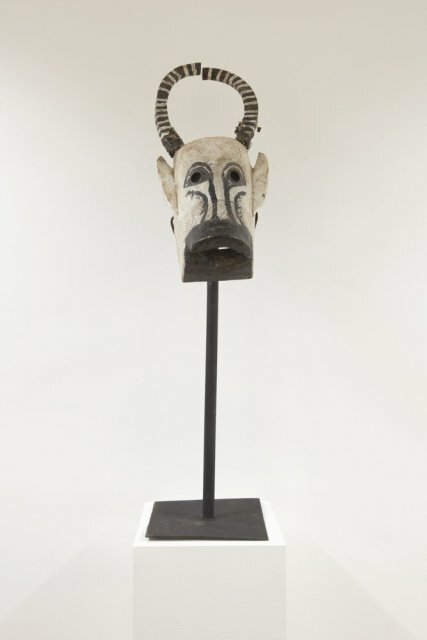 From the Central Western region of Mali, the masks in the exhibition are creations of the Bozo, Somono, Marka and Bamana populations living between and around the Niger and Bani rivers. 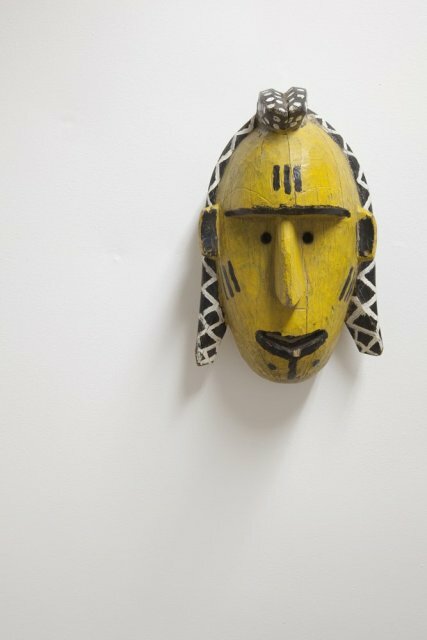 Made of wood and paint, they play a central role in the contemporary practice of an ancient animist tradition. At least twice a year, once during the grain harvest and again during rainy season, masked zoomorphic and anthropormophic figures perform dance ceremonies to celebrate prosperous farming crops and successful hunting and fishing parties. The invention of new sculptural forms to please ancestral spirits gives vitality to this spectacle - a testament to the remarkable capacity of the young people to respond to the preoccupations of the present. 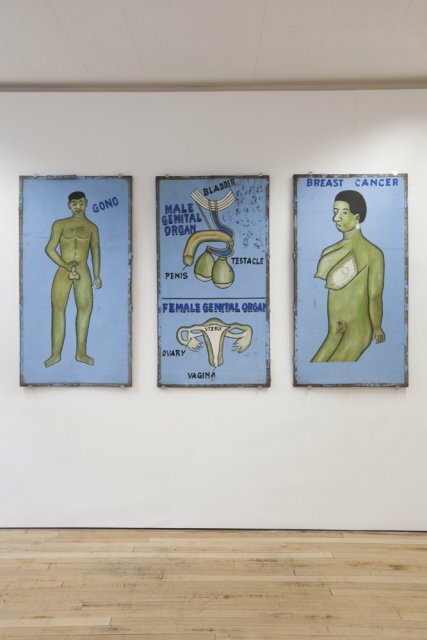 The two triptychs in the exhibition are from a Vodou fetish market just outside of Porto- Novo, capital city of Benin. The paintings are by a local artist, commissioned by a village dealer in concoctions advertising healing and rejuvenating properties. The market hums with traders of carved wooden statues and dried animal parts used for sorcery and animal sacrifice that call upon the spirit world. As urban art, these distinctive images are fast moving and pragmatic. Concerned less with issues of style or technique than with communicating their message as directly as possible, they possess a striking desire for immediacy. The paintings draw on their surroundings, address their own audiences full-heartedly and present a nuanced and responsive view of the world that is both expressive and eloquent.